Photo retouching is used by all photographers. It adds a professional look which has more to offer than the original shot. 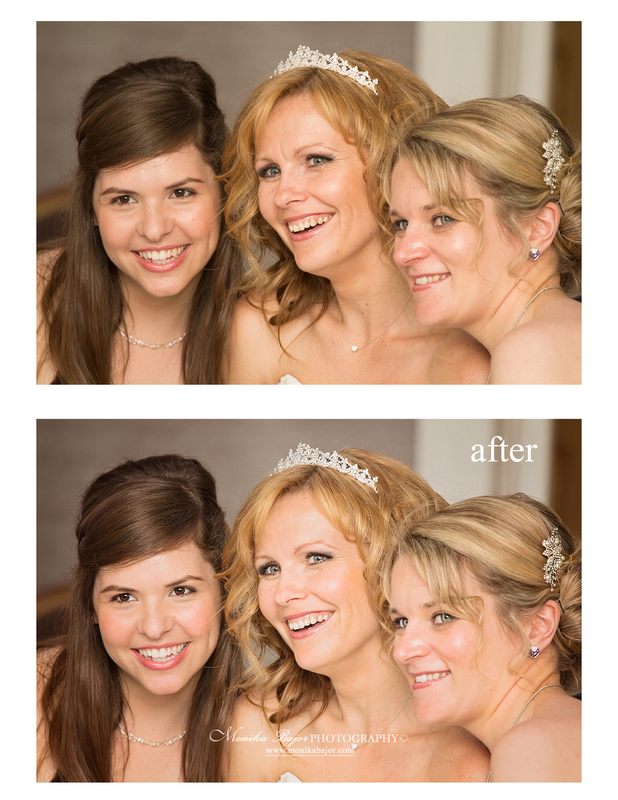 I specialize in digital editing for professionals as well as private clients. Retouching blemishes, scars, birth marks etc. Evening skin tones, and smoothing skin. Removing red eyes and brightening eyes. Fixing make up, darkening eyelashes and eye brows. Color correction, enhancing contrast, darkening or lightening of the image. Removing unwanted shadows or light. Adding professional mood or tone to your photos. I also offer services to everyone who is not happy with wedding or family, children photos taken by other photographers. If you have some personal images or holiday photos which went wrong I will be happy to help (bad light, unwanted person, burned sky etc.). Prices start from £3 / photo depending on how much work had to be done. You will pay only if you are happy with the result. There is no number of photos limit!